Home Blog Can Endometrial Scratching aid IVF success? Can Endometrial Scratching aid IVF success? On the fertility journey, there are several paths and routes, which ultimately lead to the end result, a baby, or babies as the case may be. The ‘lucky’ ones get to take the high way, and head straight to their destination, and the rest of my TTC sisters find all those other paths and routes, to get to Momma land. Olaitan was on the journey too, but she was not taking the highway anymore. She had spent three years on that road, and there was serious traffic, so she had found other routes that would take her to where she was going. For the three years that she and her husband were trying naturally, they had high hopes but those hopes were dashed every month, when Aunt Flo showed up with a vengeance. When they no longer had any more hopes that could be dashed, they headed to a specialist fertility clinic, and got the verdict of unexplained infertility. It just was not happening, even as nothing was wrong with either of them. Olaitan’s egg reserve, uterus, tubes, hormones, and everything else, were in normal working order, and her husband’s sperm count was very healthy. So, why were they not getting pregnant? No one had an answer…not the doctors, not themselves, not their parents…all they could do was speculate and trust as Africans, they went spiritual; was it because of the big wedding they had, which a prophet had told them not to have? Was it because a family member had gotten angry during the preparation towards their wedding and had decided to ‘jazz’ them? They did all sorts of things, and drank all sorts of concoction, only a baby did not come. Going back to the hospital, they opted for IVF, and not IUI, as they had no more time to waste, waiting and trying some procedure that was like an entrée to the main dish. Too many wagging tongues were buzzing around them already. The bad news was they actually had to wait. Their first IVF cycle failed! It was like scales fell of both Olaitan and her husband’s eyes. To them, IVF was not supposed to fail. All the pre-IVF counseling they had gotten was actually treated as routine information that all doctors would say. They did not take it seriously, neither did they prepare themselves adequately. To them, IVF was fail-proof. So, it was a major crash, when that cycle failed. There was a lot riding on it…all their rekindled hope, their three years of trying naturally were all riding on that cycle, and then, it failed. To say, they were devastated was an understatement. Their reaction was epic. Both husband and wife were unable to comfort each other as; they were dealing with their own feelings. After the doctor explained in person, the likely reasons for the failure of the cycle, which were really just grasping at straws, Olaitan asked when they could do another cycle, and what they were going to do differently this time. The doctor suggested Endometrial Scratching. His reason was simply that she was a perfect fit for the procedure. With her unexplained infertility diagnosis and a failed cycle behind her, he thought it might just be the turn off to get her to her destination. After consulting with her husband, whether they should go ahead and try it right now or wait a little, her husband wanted to give it a try right away. So, the cycle monitoring started. She needed to start charting her cycle, because the procedure had to be done at a particular phase in her cycle, the Luteal phase (after ovulation) before the embryo transfer would take place. To enable both Olaitan and her husband to be present, the procedure was scheduled for a Saturday morning. So that morning, they headed out to their clinic to do the new procedure their doctor had suggested- Endometrial scratching, with the fervent hope that it would work. The procedure was done in less than 30 minutes, but she waited for another 30 minutes for the doctors to observe her, before she was allowed to go home. A few weeks later, she was back in the hospital for her transfer. And the waiting game started. However, this time, it was a different announcement. In fact, Olaitan’s steps as she entered the clinic that morning were different. She was definitely pregnant this time, she had taken a home pregnancy test and had nearly fainted at the sight of the two thick pink lines. All the symptoms she had been having, had pointed in that direction. The blood work was just to confirm it. Indeed, it confirmed that she was pregnant. Her hCG levels were strong, and everything was in fantastic order. She nearly kissed her doctor and kept thanking him for suggesting endometrial scratching to her. Just as you can imagine, her doctor was relieved too that it had worked. He never always knew where he stood with Olaitan and her drama. Thirty seven weeks later, Olaitan gave birth to their daughter, a beautiful girl, who is the splitting image of her father. When she gave her testimony in church, trust her to fill it with lots of drama and she was not shy about including the IVF and the Endometrial Scratching part. That led to several coded calls and moves from several women; from moms to women who were seeking fruit of the womb, to women who were in the waiting room themselves. They all wanted referrals to her doctor for the procedure. But here’s the joker; it is not meant for everyone. According to my research, Endometrial Scratching is mostly advisable for women who have had recurrent implantation failures. A 2012 study found that having an endometrial scratch was 70% more likely to result in pregnancy in women with unexplained recurrent implantation failure. And researchers in 2015 concluded that endometrial scratching was more likely to improve the birth rate for women with two or more previous IVF failures. See? That said, the process of endometrial scratching, as it relates to embryo implantation, is not entirely understood, and some questions still remain unanswered in the minds of researchers. However, scientists involved in studies believe that there may be two reasons for the increased implantation rates. One is the increase of endometrial white blood cells. It appears that endometrial injury increases the production of white blood cells, which secrete so called growth factors, which in turn control embryo implantation. 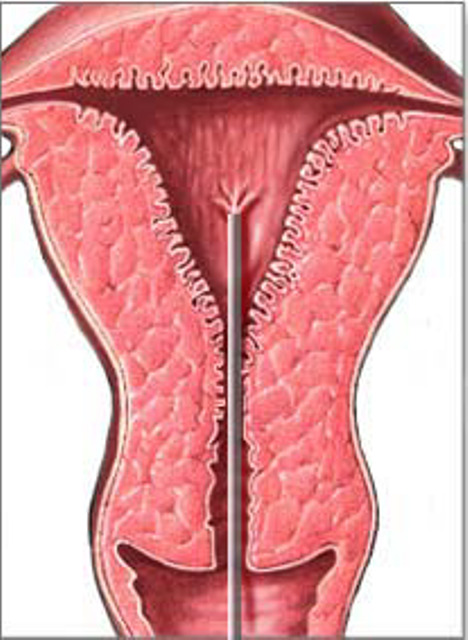 Secondly, gene switching within the endometrium. Scientists speculate that sometimes embryos fail to implant due to genetic switching, related to endometrial receptivity. That is, genes responsible for implantation of embryos are not switched on during the time when embryos are supposed to implant. Endometrial scratching may increase expression of genes (switching of genes) thought to be responsible for preparation of endometrium for implantation. Whatever be the reason, it works, and has worked on several women, but again, it is not for every TTC mom. It all depends on your diagnosis, and your doctor’s recommendation. Baby dust and sticky wishes to you all!